Venus Theatre owner Deb Randall acts out and talks about Barney's life as commander of a fleet of cannon-equipped barges during the War of 1812. He was a major thorn in the side of the British Navy throughout the war. This past weekend, a local theater owner brought him to life again during the annual Riverfest celebration in Laurel. Deb Randall, owner of Venus Theatre in Laurel, came up with the idea after learning of Barney from officials with the preservationist organization Maryland Milestones. Barney was a Baltimore native, but Randall says they chose to feature him at Riverfest because he lived for a time in nearby Savage. Barney’s barges, called the mosquito fleet, weren’t to take on the much larger British ships, just to annoy them with cannon fire to keep them occupied on the Patuxent and other Chesapeake waterways. 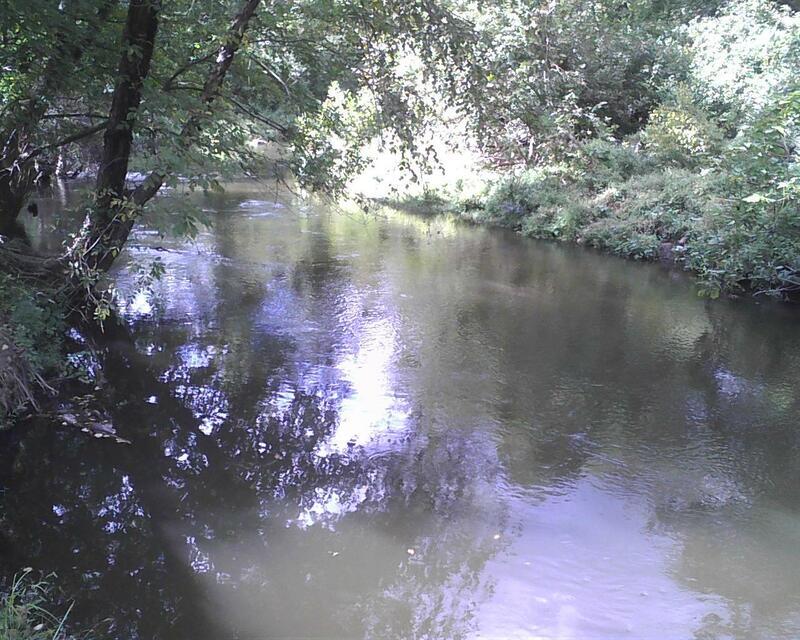 In Laurel, the soothing sounds of a river, narrower than it was in Barney’s day, created a perfect backdrop for the small audiences that stopped by throughout the day to hear about the commander’s exploits. They listened attentively as Randall, dressed in pirate gear, acted out and talked about Barney’s battles on the water and at the Battle of Bladensburg. Commander Joshua Barney often sailed his mosquito fleet along the Patuxent River in Laurel during the War of 1812. 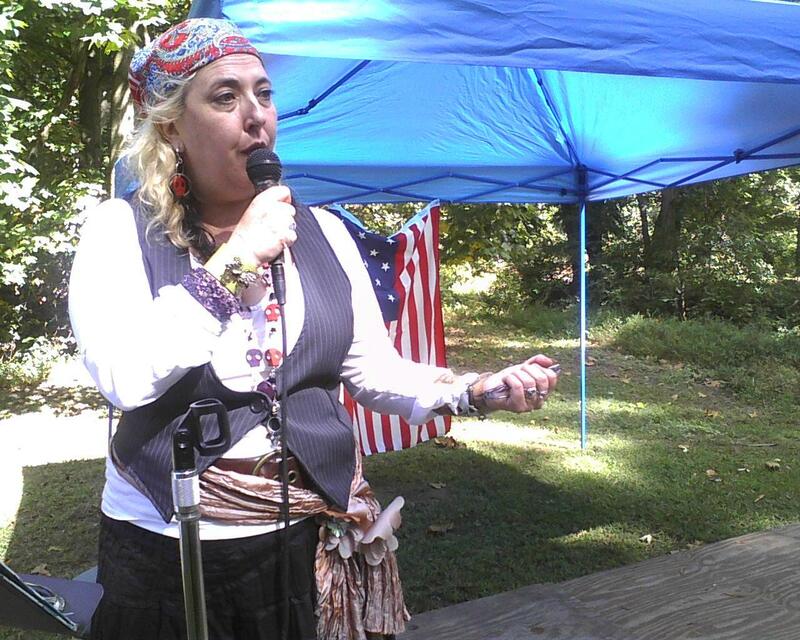 His life as a privateer was featured at Riverfest, held along the banks of the Patuxent. The battle was fought on Aug. 24, 1814. It’s sometimes called the Bladensburg Race because American troops, who were greatly outnumbered outgunned and had a questionable chain-of-command, fled during the attack. Aaron Marcavitch, Maryland Milestones’ executive director had a booth set up next to Randall’s stage during the festival at Riverfront Park, on the banks of the Patuxent. He said Barney’s gutsy seadog reputation was much needed during the Bladensburg battle. 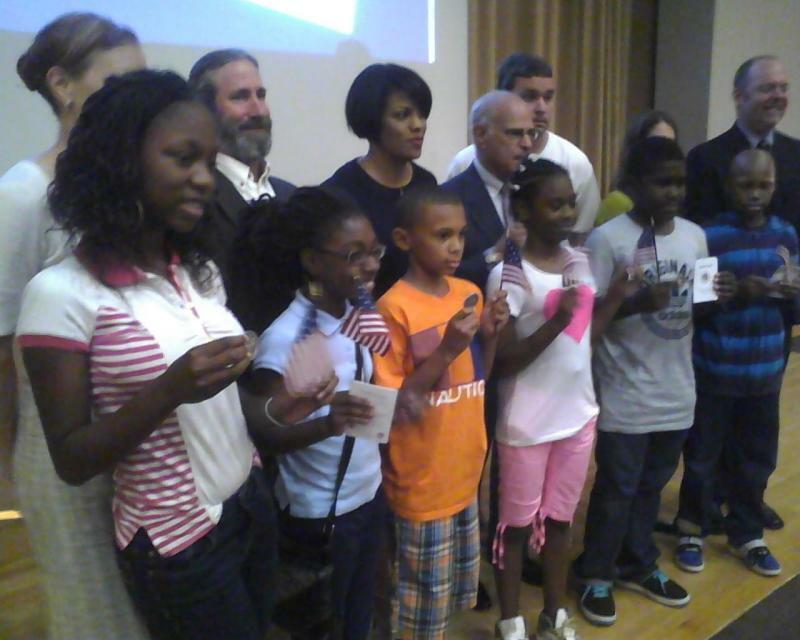 “He’s our big hero for the Battle of Bladensburg,” Marcavitch said. “He’s the guy who actually stands at Eastern Avenue and aims the cannon down the hill, firing and actually injuring a lot of British soldiers. Barney was able to stay up there for three hours, giving Dolly Madison and the citizens of Washington time to evacuate and get materials out of Washington.” Randall told the audience that the British marched from Bladensburg to Washington and burned the capital. But the delay caused by Barney gave the First Lady and others in the city time to get to safer locations. Prior to the festival, Randall held several improvisational workshops with students to teach them about Barney and get them ready to perform. The students energetically acted out a war scene associated with the privateer. Wearing a pirate’s hat and cape, middle school student Tyler Huaffmeier said his mother forced him to participate in the workshops. But now he’s glad he did because he was impressed to learn that Barney commanded ships as a teenager and contributed greatly to the American effort in the War of 1812. “It makes me realize there’re a lot of heroes out there unknown and deserve recognition and I think it’d be worthwhile for everyone to take the time to discover them,” he said. Although he is best known for his role in 1812, Barney served in the American Revolution as well, capturing several British ships. He was captured three times, was exchanged in a prisoner swap once and managed to escape twice. His former home in Savage is now a bed and breakfast inn. This story is part of our series “Rockets’ Red Glare: The War, the Song and Their Legacies,” made possible by a grant from Star Spangled 200, a national bicentennial in Maryland. 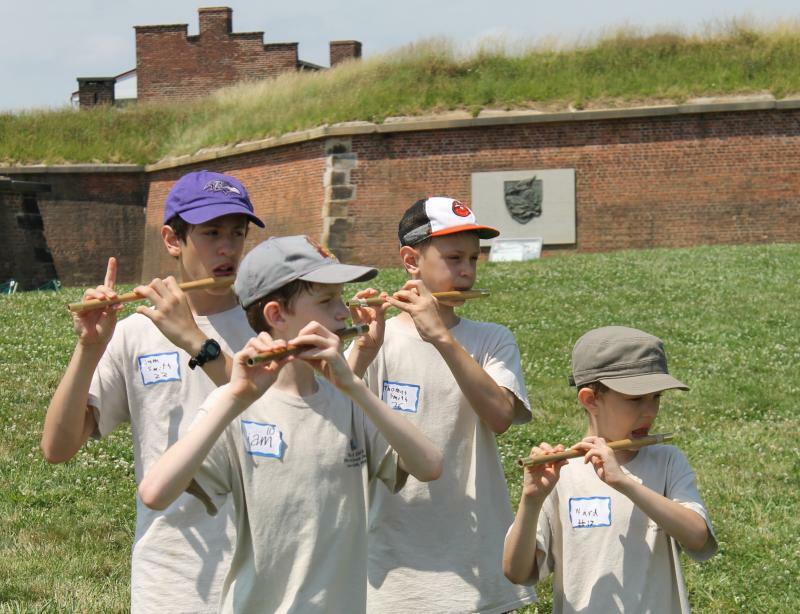 If you ask the average American about the War of 1812, you’ll probably hear about Fort McHenry, the Star Spangled Banner and maybe the Battle of New Orleans. But ask your average Brit and you may get a blank stare. The war we call our “second war of independence,” the one in which we threw off the British for good, doesn’t even register in the United Kingdom. 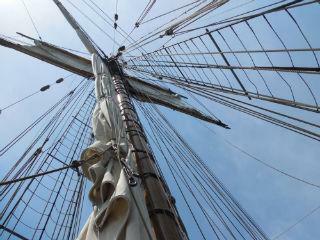 A group of ninth graders from Baltimore’s Maritime Industries Academy gets a taste of life in another century through an exhibit on the War of 1812 at the Naval Academy museum in Annapolis and a sail on Pride of Baltimore II, a replica of a Baltimore clipper of that era. They learn, for example, the difference between pirates—just plain crooks—and privateers, who sailed with government issued licenses to steal. And some students got to take a turn at the helm.